Trump is no fan of NAFTA, and it seemed that he was prepared to pull out of it as well. However, he apparently was persuaded, some say by Canada's Prime Minister Trudeau, not to abandon the agreement. The new negotiations will begin tomorrow. 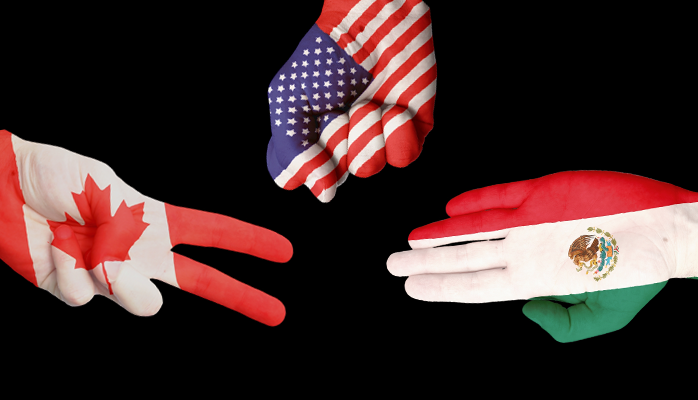 The US and Mexico are particularly eager for a fairly quick resolution. Mexico holds elections in the middle of next year, and although the US mid-term election in not until November 2018, there is concern that trade could be an issue in the primaries. In addition, it is thought that the White House would like a success in what has otherwise proved to be a lot of thunder with little rain. The US runs a trade deficit with both Canada and Mexico. However, it does not appear to be a generalized lack of US competitiveness, as some suggest. Nor does it appear to be a function of some macroeconomic imbalance. The proper level of analysis is industry specific. If it weren't for auto and auto parts, the US would run a trade surplus with Mexico. If it weren't for energy, the US would record a trade surplus with Canada. Addressing Canada's bilateral surplus will also prove difficult. Canada has long been exempt from the previous ban on US oil exports. There was a period earlier this year that China imported more US oil than Canada. The US Commerce Department has recently escalated longer-term simmering disputes over lumber and dairy. It was hoped that the lumber dispute could be resolved before the NAFTA negotiations, but this has not been the case. The Trump Administration's trade strategy was part of a broader agenda that included tax reform at home. To the extent that globalization has come to mean offshoring and extensive supply chains, Trump argued that it hurt America. To address this, he flirted with a border tax, that was pushed by the Republican leadership in the House, until being dropped last month. Corporate tax cuts were also advocated to create disincentives to offshore production. Mexico, and to a less extent, Canada are not eager to alter the extensive supply chains. The global supply chains, after all, were an important part of the economic development experienced in Mexico and Asia in the last quarter of a century. The negotiations will begin off fairly easily and smoothly. The initial issues will be largely administrative: meetings' agendas, the number of negotiating groups, and the process that leads to the compilation of a new agreement. Later in the negotiations more difficult issues will be addressed, and of courses, the thorniest is not resolved if at all until the very end. Trump's campaign rhetoric helped fuel sharp peso losses, and the central bank responded by changing its intervention tactics to husband its reserves and raised interest rates to address the inflation fed through from currency depreciation. The function of the clause may be more about setting a precedent, but the US needs to tread carefully because it could find that such a clause hampers its degrees of freedom in the future.